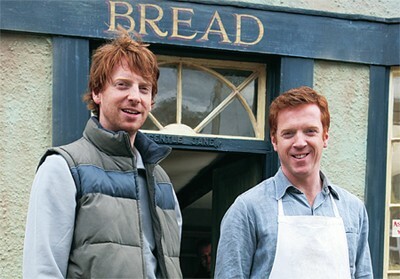 The Baker (aka Assassin in Love in the US) is an independent British movie, in fact, a black comedy shot in Wales and a family project, too: co-produced by the Lewis brothers, written and directed by younger brother Gareth and starring the older brother Damian. .
Gareth Lewis wrote a real fun piece for The Guardian just before the movie was released in 2008 on how Lewis & Lewis worked it out on the set. Here’s a short excerpt but I highly recommend the entire piece! 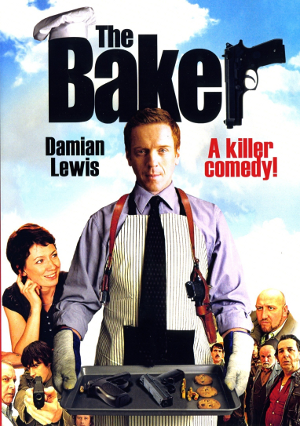 I strongly recommend The Baker to those of you that enjoy quirky small town characters doing absurd stuff and I guarantee quite a few good laughs, too! 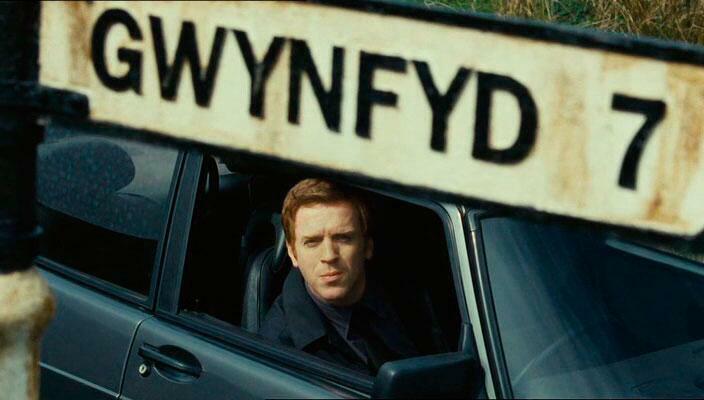 Besides, who would not like to see the life in a remote Welsh town called Gwynfyd? 🙂 The movie is available on Amazon and iTunes. Our protagonist, Milo, is an assassin, a sensitive one, who wants to quit his professional life. He violates the code, and does not kill a man that he was supposed to kill, and the “management” decides to sends another assassin, Bjorn (Coster-Waldau), to terminate him. Milo talks to an old, assassin friend in retirement, Leo (Gambon) who tells him he could go and stay safe at his property in the country. 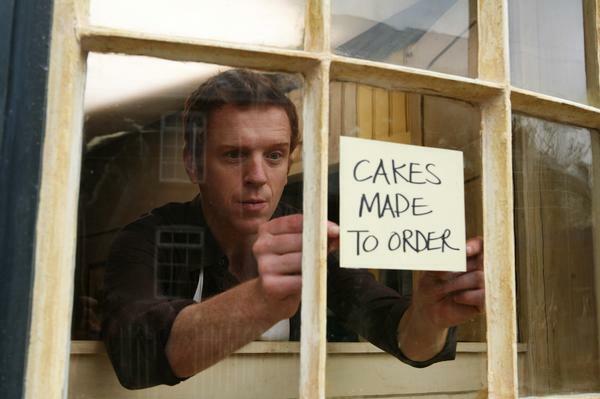 The only detail Milo doesn’t know is that the place he would stay in the country is a bakery! So, Milo moves to Gwynfyd! Because he stays in the bakery, the villagers believe that he is the new baker. They have been waiting for him. The guy that owns the local bar says he understood that he was the baker the first time he saw him. “There is a fresh aura of bread about you” he says. Not to blow his cover, Milo adopts the name “Milo Shakespeare” and gets to work. To get rid of his past, he buries all his work equipment, but a young local boy, Eggs, sees him. He unburies the weapons, and with a little bit of research, he understands that the guy that they all think of as a baker is actually a professional assassin. Eggs believes that “The Baker” is here for a mission! The village seems to be a quiet and peaceful place, but in fact, every local wants somebody else dead. The local chips shop owner Rhys makes the first move. He cannot stand his wife — well, he has his reasons… and I really cannot blame him 🙂 He goes to the bakery and orders his wife’s murder… as follows! The movie has some really good moments… and one scene that I cannot help talking about when I talk about The Baker is that the movie has the most hilarious love scene that I have ever seen. I am not 100% on this, but my hunch is that the scene is a parody of the famous scene in the cult movie 9 and 1/2 Weeks with Mickey Rourke and Kim Basinger. At least, that’s my take. See the scene here and decide yourself! Oh, and the soundtrack — brilliant classics! I already have Volare and Jump in the Line on my running playlist! Bottomline: A bit over the top, absurd at times, comedy with a great soundtrack. What’s not to like? 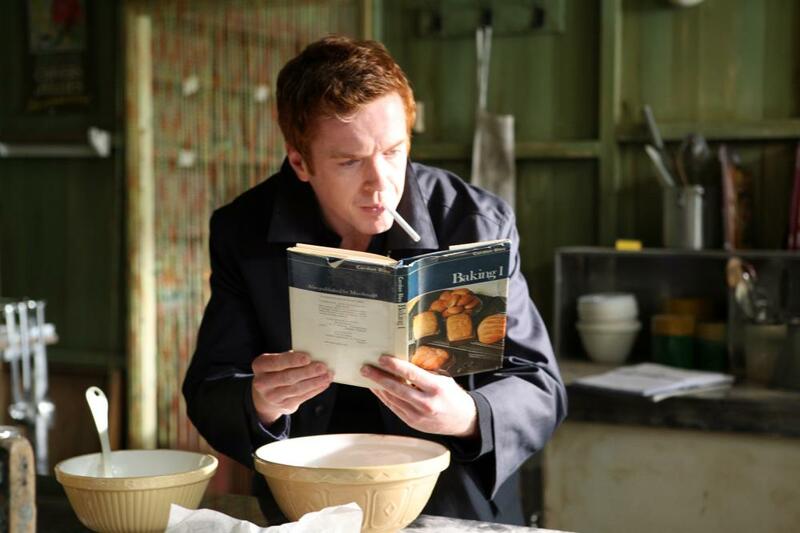 ENJOY the Baker! WOW! That’s a thrilling news! So let’s wait :)! !